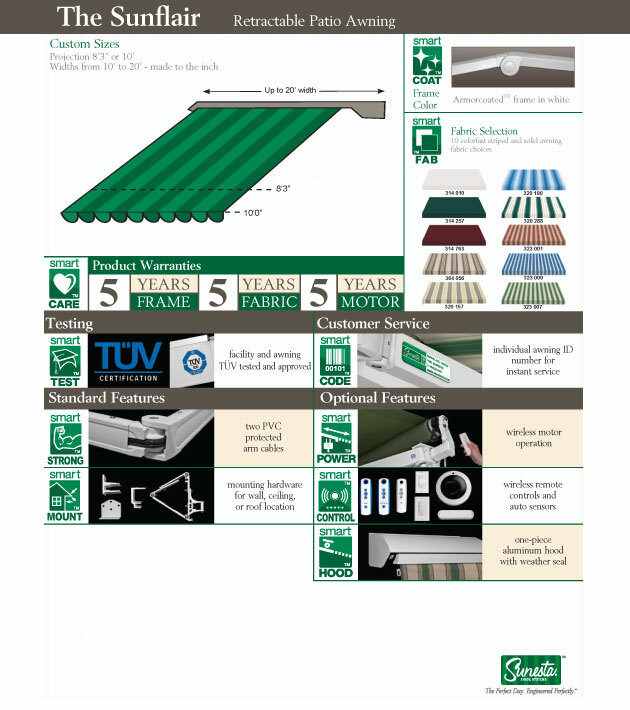 The Sunflair is our smallest and most basic awning. 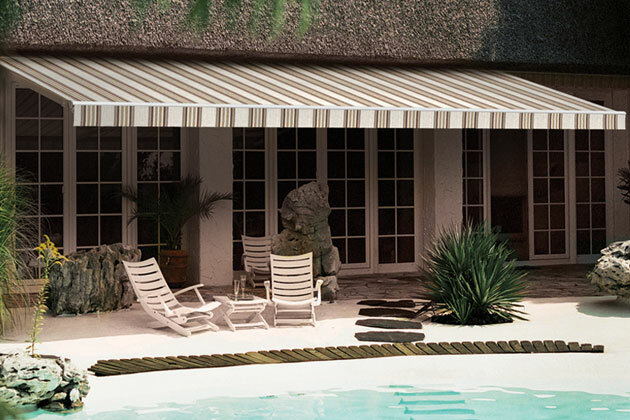 The Sunflair spans a maximum width of 20-ft 0-in and a maximum projection of 10-ft 0-in. The Sunflair comes in 10 fabric choices with a standard white frame.